Designed by William C. Thornton, and completed in 1800, the Octagon House was owned by Colonel John Tayloe, a Virginia plantation owner. A few years later, the Tayloes offered the house for use as the French Embassy, where the Treaty of Ghent was signed by President James Madison to end the War of 1812 (he was working there temporarily following the 1814 burning of the White House). The house was sold in 1855, and since used as a military hospital during the Civil War, an apartment building, a girl's school, and has been owned by the American Institute of Architects (AIA) since 1902. 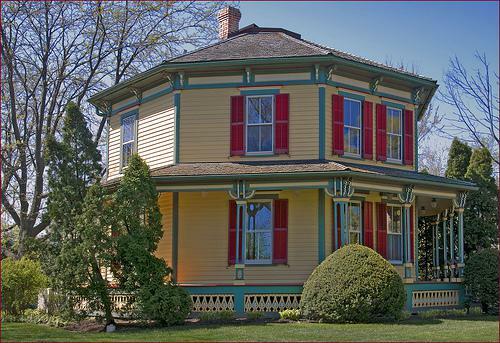 The AIA still owns the house, though they are now located in a large office building adjacent to the Octagon House. The house is now used as a museum, and a gallery is located in the main AIA building.